What Does All-Natural Really Mean? How is Organic Different? So should we then avoid All-Natural products and their increased costs? Not necessarily. Instead, I think it is more important that we examine their claims on a case by case basis and take them exactly at their words. 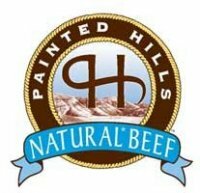 For example, Painted Hills Natural Beef, who has been a vendor of ours for some time, defines All-Natural as: no growth hormones given, no antibiotics introduced, and raised on grass with grain finish. This individual standard shows that great pains have been taken in order to create an All-Natural program with a superior standard for raising cattle. Other ranchers do not hold to these standards, however. Many still refer to their herd as natural but treat with medications in order to improve the animal's digestion, others pay no heed to the claim at all, or state specific exclusions and do everything but. So is raising beef cattle in a 'natural' environment the more ethical choice and a better decision for the welfare of the animal? Again it depends. Consider this, you are a rancher who is getting $2.50 per pound on any all-natural cattle in your program, but that program requires that your cattle are antibiotic free. Alternatively, you would have to sell your whole-carcass cattle at $1.75 per pound the very second you treat them with antibiotics and take a loss on raising them. Presented with this option, sadly there are some ranchers who would make the decision to wait until the last possible moment to treat the animal for a sickness or infection. Highly ethical ranchers like the ones at Painted Hills in Oregon have partnered with a packer and are willing to take that loss for welfare of the animal and in order to maintain the integrity of their program. That's one of the reasons why ranchers like Double R and St. Helen's beef here in Washington treat with antibiotics when necessary. They don't want to be put in a position where they are making that decision. Aside from that detail, they would easily fall into the categories mentioned by Painted Hills as what they feel a natural beef should be. Double R raises their cattle in a pasture setting on grass, never feeds animal byproducts, and refuses to use growth hormones. I can certainly appreciate their position on the issue of anti-biotics because after all, who wants to eat sick cattle? All of that being said, the organic label means something else entirely. USDA Certified Organic is a specific inspected and regulated program with precise rules. These rules require that the herd is never given any form of chemical or medication. What's more, the herd must be raised on grass or feed that only consists of organically raised vegetation. That means no fertilizer can be used on the fields and no pesticides can be used on the crops that feed the animals from birth to the point where it is processed. As you can imagine, this tends to be prohibitively expensive and not particularly sustainable to the local environment. It also often results in less feedings based on grain price, and animals that are finished at a lower grade and weight due to costs. Somewhat more difficult for the organic rancher is the cost ratio of treating an animal with antibiotics might be a loss from $4.00 a pound down to $1.75 a pound. To make a long story short, a big part of who we buy from has to do with the quality of their product and the ethics used in raising the animals. The market is littered with out of state or out of country products which do not hold up to these standards and cut corners to reduce the cost of their products. These products may even claim to be all-natural, but it is important to examine the source of your meat carefully no matter what is on the label. Ethical ranchers will be willing to tell you what rules they adhere to for their programs and that information will be made available to consumers.